What does the future hold for whiplash claims in the UK? On the UK’s personal injury claim landscape, 80 per cent of all claims are for whiplash injuries. Such is the prevalence of whiplash claims in the UK that it is known as the world’s Whiplash Capital; when compared to other countries, such as France and only a 3 per cent occurrence of whiplash, the UK’s whiplash problem becomes even clearer. Experts have estimated that whiplash claims in the UK is directly responsible for car insurance premiums rising by an average of £93, prompting Government to bring the issue up for review, with a view to curbing the exponential rise of whiplash claims. Here are some issues that may arise in the near future with regard to whiplash claims. Are whiplash claims on the rise? The prevalence of UK-based compensation claims for whiplash injuries has been speeding towards a problem for a long time, and the issue has finally impacted, with insurers and policyholders ultimately paying the price. Car insurance policy premiums are at an all-time high, costing the average driver approximately £800 per year, which is an increase of 14 per cent in the space of two years. The rampant use of legal action over minor and even contrived injuries has led to the many bearing the brunt of a problem created by the few, and the Government deciding to reform the process of claiming compensation for whiplash injuries, which is being instigated this year. Whiplash is actually a bit of a blanket term, and is used in relation to an injury to the muscles, nerves, discs, bones or tendons in any part of the back or neck. Accidents that involve abrupt impact or braking often cause passengers’ heads to be jerked in one direction and then back again with considerable force, which leads to inflammation, swelling and pressure on the nerves. While this tends to be the extent of whiplash injuries, severe cases can see damage to the neck bones too. The problem is that whiplash injuries can be difficult to ascertain the seriousness of. In many cases, the injuries heal themselves within about six or nine months, but for the unfortunate few, permanent injury can be sustained. Anyone who believes they may have incurred a whiplash injury should immediately seek medical attention. Whiplash symptoms can worsen with time if left untreated, so an initial medical assessment is important. The common symptoms of whiplash include stiff or painful neck, diminished mobility, headaches and migraines. The intricate nature of whiplash injuries and the vast number of muscles, nerves and tendons that could have suffered because of it, make it a complex injury, and one that could cause long-term problems if not seen to early on. If no expert help is sought following a whiplash injury, the likelihood of the damage developing into a more chronic condition is higher, and if a serious injury, such as a herniated disk, goes unnoticed, the long-term effects could be very serious. A doctor or chiropractor can examine existing injuries and devise a recovery plan to help rehabilitate the person and prevent the condition from worsening. Treatments like massage can help to ease muscle tension, while more specific physiotherapies and chiropractic manipulation can be used to treat more severe injuries. People who have suffered from whiplash injuries often do not recognise other symptoms as being connected to their initial injury, at times preventing them from realising the extent of the damage. Headaches and migraines are one of the lesser known symptoms of whiplash, and are often considered a secondary symptom, in that they are directly brought on by the initial injury and the tensions and stresses caused by it. It is also common for people with whiplash injuries to put off seeking help for what are deemed lesser symptoms, such as stiff necks and loss of mobility, under the assumption that the pain would clear up by itself. However, this can cause more harm than good, and an untreated injury can go on to become a long-term issue, impacting other facets of life, including quality sleep, ability to concentrate at work and general comfort. Because of the complexity of whiplash injuries and the difficulty faced in trying to determine the long-term impact of them, large compensation amounts being paid out to people whose injuries were not as serious or chronic as they implied has gained prevalence. Fear that further increases in such claims will only hike insurance premiums up yet again – and cause unnecessary problems for victims with legitimate claims – has seen a growing insistence that politicians review and reform the claims process for whiplash injuries in the UK. However, such efforts have been bogged down by other issues that have taken precedence, including Brexit. Last year the Government declared that they would be ‘Reforming the Soft Tissue Injury (Whiplash) Claims Process’, in an effort to quash the ever-increasing claims, and the subsequent hiking of insurance premiums by implementing changes to the process followed to award and calculate compensation amounts. A fixed payout amount is being introduced for complainants whose injuries last less than two years, which is hoped to regulate the amount of money being distributed in this way. Additionally, the Small Claims Track Limit is being increased from £1000 to £5000, in an effort to reroute the majority of cases through small claims court, and therefore reducing both the amounts awarded to victims, and the amounts spent on legal fees, which often cause even more money to be spent in such cases. It is hoped that this will help to stabilise insurance rates too. Part of the purpose of this reform is to repel false whiplash claims, but this should not dissuade genuine victims from filing for compensation. However, the reform means that claimants may have to take a different approach to filing their claim. The input of a reputable legal expert should be the first port of call, to give an indication of the viability of the case and how to make a claim for whiplash injury, but it is likely that the majority of such cases will be continued in small claims court. This entry was posted in Personal injury on 21 March 2018 by admin. How important is no win, no fee to your online presence? There is no denying, that when it comes to making a personal injury claim, no win, no fee is exceptionally important for your clients. It allows many people to pursue personal injury claims they otherwise would not, which is great news for you, and for your client. However, how can you utilise the power of taking on clients on a no win, no fee basis? Friends Legal, no win no fee lawyers Leeds, are an excellent example of how to market no win, no fee services correctly. Here are the three main things you can do. Although clients understand the basic concept of no win, no fee, many are still sceptical – how can lawyers simply work for free? Providing clear information about how exactly no, win, no fee works, and what your client can expect is an excellent way to build trust. It will also boost your conversion as you have already been helpful to the client by assisting them in understanding. Providing a free initial assessment is something most firms do anyway, but be sure to advertise this on your website. Make sure that clients understand that you are happy to discuss whether you can take on their claim on a no win, no fee basis, and that there is also no obligation to continue their claim, regardless of whether you can take them on on a no win, no fee basis or not. Consumers are very wary of hidden costs, and are fearful of how much legal fees might set them back. As a result, you should be as clear as possible about your processes for assessing a clients claim. We know that how much you can claim for a personal injury can vary wildly, however it is possible to give clients an idea of how much they might be awarded, should their no win, no fee claim be successful. Case studies of your successful past cases are very useful in helping clients understand how much they might be awarded, and also build confidence in your ability to win their case. You can also outline example amounts for different types of injury, and of varying severity. Clients are also interested in finding out all of the things you can help them claim for, so be sure to provide as much information about heads of claim as you can. This entry was posted in Personal injury on 18 January 2018 by admin. According to the ONS, a total of 1,792 road deaths were reported in 2016, a rise of 4% compared with those in 2015; the highest figure since 2011. There was a 44% drop in fatalities during 2016 in comparison with 2006. Personal injury claims as a result of road traffic accidents are on the increase, and if you have suffered an injury due to a road traffic accident, you might be entitled to compensation. 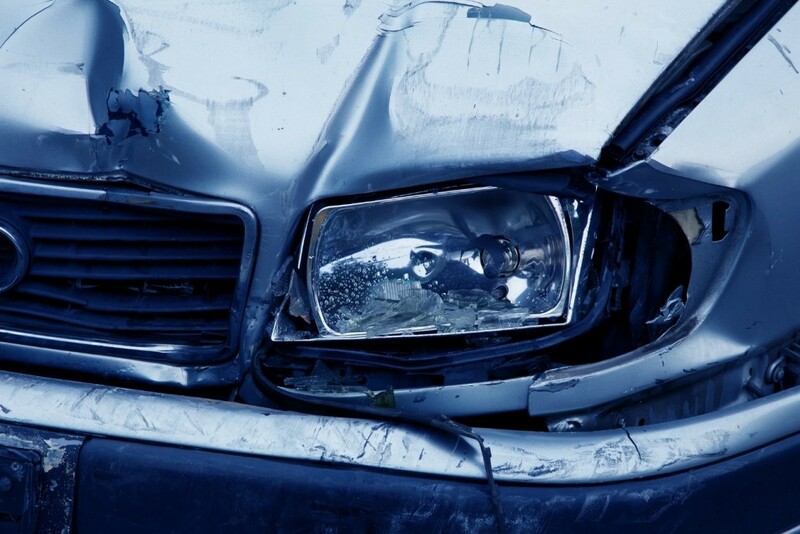 If you need to file a road accident claim Gloucestershire legal specialists are available to assist you with legal and procedural advice to ensure your claim has the best possible chances of success. There were 24,101 people seriously injured as a result of road traffic accidents during 2016. However, comparisons of this figure with earlier figures is challenging, as there have been changes in the manner in which severity of injuries are now reported. There were 181,384 casualties in total in 2016. A 3% decline from 2015 figures, the lowest ever recorded. Motor traffic levels increased by 2.2% from 2015 to 2016. There has been a statistically significant decrease in the number of casualties in road traffic accidents between 2015 and 2016. 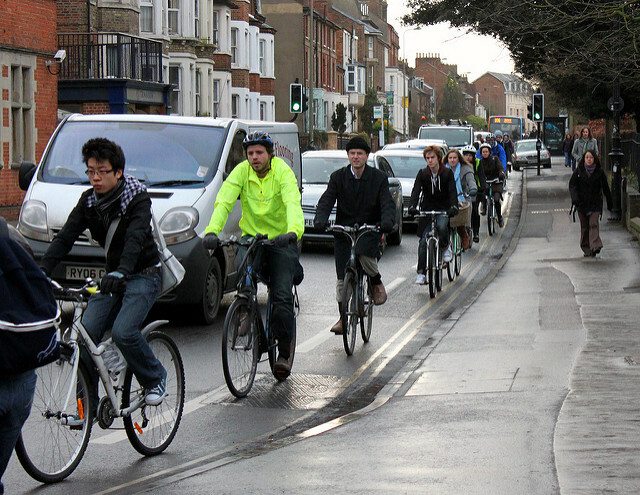 This suggests there are various factors that have combined together to improve some aspects of safety on Britain’s roads. The number of deaths as a result of road traffic accidents increased between 2015 and 2016, but the change is minor, and can be attributed to natural fluctuation in deaths over a period of time. The 2016 serious injuries figures were substantially impacted, and figures for slight injuries also, but less severely, by changes in reporting systems used by approximately 50% of UK police forces. Therefore, comparisons with figures from 2015 for serious injuries may prove to less accurate. In 2016, a total of 24,101 seriously injured casualties were reported in road traffic accidents. There were 181,384 casualties reported in road traffic accidents during 2016. This is around 3% lower than in 2015, and the lowest level ever recorded. 136,621 personal-injury cases related to traffic accidents were reported in 2016, of which 1,695 involved at least one death. Regardless of the type of personal injury sustained in a road traffic accident, you should always seek legal advice. Many legal firms offer a team of specialists in personal injury and compensation claims. If you need to make a traffic accident compensation claim, a workplace compensation claim, a burn compensation claim, or a cosmetic surgery compensation claim, having the right legal specialist working on your case will increase the chances of receiving an acceptable compensation settlement. This entry was posted in Personal injury on 11 December 2017 by admin. If you or a member of your family has been injured in an accident or suffered from any form of injury or illness due to an act of negligence or a lack of duty of care, we could help you to claim the compensation that you deserve. Our guarantee is that if there is no win, then there is no fee, so in the unlikely event that we do not succeed with a personal injury claim, there will be no cost to you. We provide personal injury and medical negligence advice in Ireland. We will deal with your personal injury claim in an efficient, effective and sympathetic way so you receive the best compensation settlement possible. We are extremely proud of all the wonderful feedback we have received from our clients in the past. We will do what it takes so the feedback continues into the future. A No Win, No Fee agreement is an arrangement between you and us who are your personal injury Solicitors which means that if unfortunately, your compensation claim with us is not successful, we, your no win no fee Solicitor at http://cli.re/gA3YQ5 will not be paid for the work we have done. If you win your claim, we, your Solicitor is paid our fees by the other party, typically an insurance company. The No Win No Fee agreement covers both our fees and costs and applies to Road traffic accidents, which cover accidents with cars, Lorries, motorbikes, bikes and pedestrians; it also covers slips and falls and of course, works accidents and injuries. Where there is a lack of duty of care in a medical established then we also offer No Win No Fee agreements. A no win no fee claim is a conditional agreement between you and us your Personal injury solicitor. We fully agree that if your case is unsuccessful, you will not have to pay the fees or costs to us. If your case is successful, on the other hand, your personal injury solicitor’s fees and costs are paid out by your adversary. That means, win or lose, it will not cost you anything upfront to make a personal injury claim. It focuses our mind on winning your Personal injury claim for compensation as if we lose we are out of pocket! You should know that in Ireland we, your personal injury solicitors and indeed all solicitors in Ireland are not allowed to charge clients a percentage fee for winning a case. Only work performed can be charged. The insurance industry is very critical of No Win No Fee agreements as they claim that it fuels the Personal injury industry, but we believe that No Win No Fee makes justice available for all. This entry was posted in Personal injury on 13 February 2017 by admin. In early January of this year, the UK’s Ministry of Justice closed a consultation on soft tissue injury claims, or whiplash, reform after a seven-week response period. During that time, interested parties were given an opportunity to analyze the significant impact the proposed changes to the claims process relating to whiplash after road traffic accidents would have. The reforms, coming only a short three years after similar measures benefiting large insurers, purport to address the perception of an excessive compensation culture throughout the UK, focused on fast cash for claims that burden the insurance companies and ultimately, raise premiums for motorists. Within the proposal for reform, the government offered four substantial changes to how claims are handled currently. The first change hones in on the need to reduce fraudulent claims made by dishonest motorists or cash-hungry whiplash victims by altogether taking away compensation paid for pain, suffering, and loss of amenity (PSLA). An alternative to completely dissolving the opportunity for compensation is to cap the total amount paid to no more than £400 per incident. In addition, the reforms propose a denial of any whiplash claim brought against an insurance company that does not come with medical evidence to support it, and an all but forced small claims track for personal injury claims after road traffic accidents. The combination of these reforms is, according to the proposal, intended to reduce the frivolous soft tissue injury claims and starkly reduce the average amount of a claim, currently at an estimated £1,850. The reduction to compensation amounts, increased maximum for small claims court, and requirement of medical evidence of whiplash is all meant to deter individuals from making claims that may not be substantiated. Although the reform for soft tissue injury claims processes is spun under the guise of saving safe, honest motorists some money each month in insurance premiums, the true motivating force behind the potential changes is clearly an industry interested in higher profits. No altruistic driver is apparent in the insurance industry, despite the narrative of wanting to create a more honest, claim-wary population. Instead, insurers have created a story of a growing epidemic of fraudulent whiplash claims, pointing to the detriment erroneous lawsuits cause for the vast majority of motorists. In the opening letter of the reform, the government cites that an increase in whiplash claims has taken place over the last ten years, to the tune 50%. In addition, individuals filing soft tissue injury claims tack on costly attorney fees in addition to pain, suffering, and loss of amenity, creating a substantial blow to the insurance companies and the road users who rely on affordable coverage. The reality of the soft tissue injury claims issue is not nearly as excessive as insurers might hope to promote. Instead, the cost of claims have fallen steadily for the last five years, and the associated cost to the insured population has experienced a 30% decline since 2010. Yet insurance companies have raked in more than £2.5 billion in profits by slowly increasing insurance premiums since 2013. The rise in cost to motorists can’t be directly correlated to an increase in fraudulent soft tissue injury claims, nor the cost of paying for substantiated claims. Motorists are required by law to hold insurance – the insurance companies have taken that mandate straight to the bank, and now are on the path toward limiting the benefits they provide to road users throughout the country. The soft tissue injury claims reform is a singularly focused method to reduce the number of fraudulent claims against insurers. Unfortunately, the perceived benefits of the reform put a heavy burden on the individuals who turn to their insurance companies for the financial assistance they are entitled to after a road traffic accident, especially road users who are more vulnerable to injury. Insurers are standing firm in their narrative that abusive claims work to drive up costs for the average motorist, but the data points to a driving force produced by the need to increase profit margins. 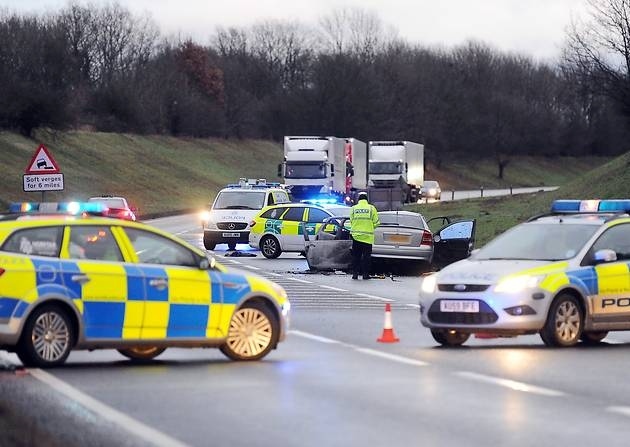 The potential £40 savings possibly passed down to safe, honest road users hardly offsets the handcuffs placed on their ability to receive compensation from insurers after a road traffic accident occurs. This entry was posted in Personal injury on 27 January 2017 by admin. What is a personal injury trust fund? A personal injury trust fund is a type of trust fund set up using the compensation payout that is awarded from a personal injury claim. You may also come across the terms ‘personal injury trust deed’ or ‘special needs trust’ – but they are all the same thing. The aim of a personal injury trust fund is for you to keep your compensation money even if you have to claim some kind of state benefit, either immediately after being awarded compensation, or further down the line. Having a trust fund in place is the only legitimate method for you to do this. The reason any benefits that you claim could be affected is that you will be regularly reviewed and assessed, and if you have more than £6,000 in your bank account, benefits you receive could be reduced or suspended. In addition, if you have more than £16,000 in your bank account, your benefits could be stopped altogether. For this reason, a solicitor may advise you to set up a personal injury trust fund, rather than have your compensation payout paid directly into your bank account. Another benefit of having a personal injury trust fund set up is that if you were to go into residential care, the cost of your care cannot be paid out of the compensation sum in your fund. Do I need a personal injury trust fund if I’m not receiving benefits? If you are not currently receiving any benefits, no, you don’t need to set up a personal injury trust fund. However, it is still a good idea to set up a trust fund – and a solicitor will often give you this advice, as you never know what the future holds and you could end up claiming a benefit, whether it be months or years down the line. What can I do with the money in my personal injury trust fund? The good news is that there are no longer any restrictions in place to limit how much of your compensation money you can spend, and what you can spend it on. So you, and any ‘trustees’ that you appoint, can use the money in your personal injury trust fund however you like. It is always recommended that if you are in receipt of any state benefits, you use this money for what it is intended for – so day to day life; bills, food etc… and then use the money in your trust fund for bigger purchases that your usual benefits wouldn’t cover – such as house deposits, buying a new car, going on holiday and so on. At the end of the day, the money in your personal injury trust fund is your money – it has been awarded to you. So you can spend it however you see fit. What money can I put into my personal injury trust fund? A personal injury trust fund isn’t like a bank account. You should not make any deposits of any other sums of money whilst you have it open. The only money that should be in the fund is the money that was awarded to you from your personal injury claim. Can I have trustees for my personal injury trust fund? When setting up a personal injury trust fund, one of the requirements is that you appoint at least one other person to act as your ‘trustee’. People tend to choose a family member as their main trustee, such as a partner/spouse, mother, father or child. As long as the trustee is someone over the age of 18, it is entirely up to you. However, choosing who to have as your trustee is very important, as they will have a say in how the compensation money is spent. So if there is a family member who you feel ‘should’ be your trustee, but you know this could cause problems in the future between you both, you probably shouldn’t appoint that person. Most law firms will act as a trustee to your trust fund, but as you would expect, this comes with a fee. However, it may make sense for you to pay this charge and have someone completely impartial in the role. You should also note that you do have the power to change your trustees at any time. So whoever you choose when setting up your fund is not ‘set in stone’. If you find that things aren’t working out with your trustee, and that there are too many disagreements regarding the money in the fund, then you can of course make a change. Will I need to inform the benefits agency about my personal injury trust fund? If you are receiving any benefits then yes, you are required to inform the agency about your personal injury trust fund, although this is something that your personal injury solicitor will do on your behalf. The only information you will need to provide to a law firm is your National Insurance number and the address and contact details for your local benefits agency. When can I take money out of my personal injury trust fund? As soon as your compensation payout becomes available in your trust fund, you have access to it. However, in order to make a withdrawal from the fund, any trustees that you have appointed must sign the cheque or cash withdrawal form. As this is required for you to access your money, it is important to choose the right trustee to avoid any conflict. Luke Glassford writes on behalf of Liverpool-based personal injury solicitors CL Legal, who specialise in accident and industrial disease compensation claims. This entry was posted in Personal injury on 4 March 2016 by admin.